There is no one thing that makes Camp Jewell special—it is the sum of its parts. Camp is a place where children and young adults can grow and find themselves. Sometimes it may even lead them down a path that may not have been previously understood. It did that for me. Along with giving me memories to last a lifetime, I can honestly say, my time at camp was one of the two or three biggest influences that helped to shape my future. That is in large part because of the people who are drawn to camp and the relationships that are created here. In 1976, my parents signed me up to spend four weeks at Camp Jewell. I was a Norseman in Cabin 3A. I was a horribly homesick 10-year-old but with the help of then-Summer Camp Director Paul Berkel and Assistant Summer Camp Director Gordon Hodne, I made it through one session before I packed my trunk and went home…vowing never to come back! I did take the next summer off, but my parents strongly encouraged me to return and give Jewell another try and so in 1978 I came back and I had an incredible experience. Camp Jewell has been a second home to me ever since. After several years as a camper, I became a staff member here and worked for Paul and Gordie…the same two men who had helped me years earlier. They were instrumental to me because of their leadership style; they made it clear that as staff we were all in it together. They were empowering as leaders and they understood what counselors and directors needed and they provided that for us. I’m very happy that they are receiving the Scoobie Award for Distinguished Service at this year’s Corn Roast! In addition to Paul and Gordie, two other people at camp were highly influential to me. One was Rob Wiley, a counselor I had when I was a camper in my early teens. Rob just knew how to work with kids and over a two-week session he made my summer and gave me memories I still have today. Rob showed me what a good strong counselor should be and I can only hope I was half the counselor he was. Lisa Raffel, my LIT Director, also had a strong impact on me. My LIT group was particularly challenging (so we were told!) but Lisa was able to help us work through our challenges and turn us into something of a cohesive unit. It’s people like Rob and Lisa, with their innovative ideas and creativity, who bring kids together and leave positive marks on their lives. It makes me so proud to know that kind of dynamic is still as alive today as it was when I was here in the 1970s and 1980s. Being a camper was a fantastic experience at Jewell, but for me, being on staff was even better. 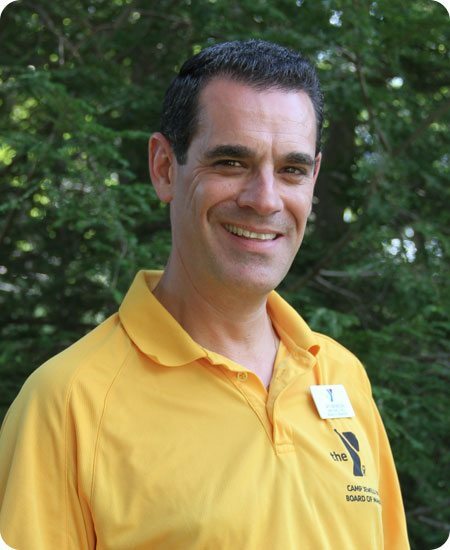 I worked with some truly talented people at camp over the years and was able to work my way up from Jr. counselor to counselor, the first senior village director and eventually to trips coordinator. Some of the lifelong friends I made at camp were the people I worked with as counselor and director; some of them are among my dearest friends to this day. Staff members were here to make the kids’ summer the best it could be.